That's what I said when my friend told me non-chalantly in passing... "Burger Week is coming up." Wait, what? 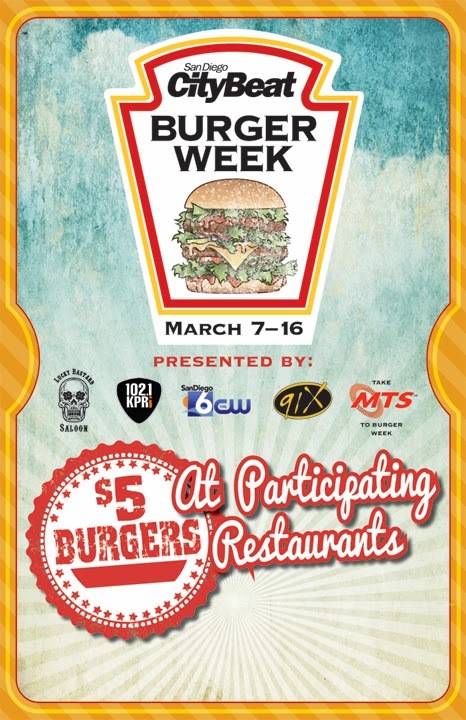 I had no idea Burger Week even existed! She sent me a link via email, and yay, I am excited to share with you all. Who doesn't love a good juicy burger... and for $5 too? YES. I have not yet had a chance to "study" the different burgers offered, but when I browsed through it quickly, there are quite a few restaurants! Which burgers look good to you? I hope you all have a chance to try out a delicious burger during Burger Week next week. I'll be sure to post my burger choice -- I really want to go! Oh man... I've never heard of burger week either! Looks like they have a pretty good amount of restaurants participating. I'd like to check out Salt & Cleaver, Saltbox, or maybe the one at Terra. Thanks for sharing! Thanks for sharing! I have a hair appointment in Hillcrest on Saturday and we were planning a quick family dinner afterwards. Looks like we're heading to Burger Lounge! Yum! Hi Janice! Mary reposted this so I saw it on twitter. Looks really tasty! 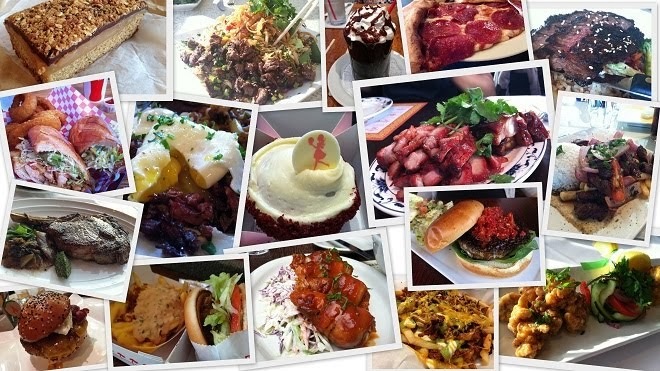 We should all tag it with something like #SDburgerweek so we can find all the yummy burger pics! Can't wait to eat haha! You're welcome, Jinxi! Can't wait to see where you go. Mary - sorry for the extra late response, but like I mentioned on your blog, I loved your round up! Glad to share the fabulous week that is BURGER WEEK. Thanks for posting on Twitter! Lorena - Hope you got to enjoy the Burger Lounge's $5 burger! Lynn - Thanks for visiting! Thanks for reposting on Twitter. Glad you were able to enjoy yummy burgers! :) I'm going to add your blog on here!